Join Bordon’s brand new entrepreneurial movement and gain free access to our shared workspace! 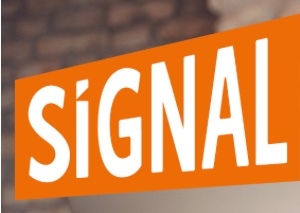 SiGNAL encourages collaboration, creates opportunities and helps small businesses to grow. There are great meeting spaces for hire too. We hope we can help build the business in this exciting regeneration area. As Rotary Social Innovation East Hampshire we have joined Community First which is a registered Charity and we hope to encourage their work. They aim to be the difference that makes the difference in our local communities. They work across sectors with community members to affect positive change and be a force for good. They have really good resources, training courses and workers to support our new group starting. We are pleased to be working with the Beacon Church who want to be the centre of the community and share hope, love and joy, we welcome everyone to help develop this new Church Plant. They are running some exciting and an usual activities, not usually associated with a church. We are meeting once a week in the Phoenix theatre for time of prayer, bible study and worship and twice a month for lively worship. By 2019 we plan to have our own brand new church building in Prince Philip Park. Our vision is to bring joy, love and hope to this community. A new business being developed in the Whitehill and Bordon area, for more information please visit our website. 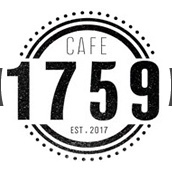 Café 1759 is a café with a difference – we’re a not for profit community café, supported by volunteers. This means that we’re able to keep our prices low and reinvest the money we make into the café and local community, allowing us to provide community activities, support volunteers and promote health and wellbeing. We’re supported by Radian, the housing association responsible for the development at Quebec Park.